Curious about what will happen to your health insurance rates after health reform? Our state Health Benefit Exchange, charged with creating a new online marketplace for health insurance, just launched a consumer-focused website, www.wahealthplanfinder.org and it includes a calculator for estimating your costs. 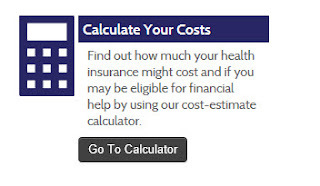 You can't choose a health plan until the site launches on Oct. 1, but you can use the calculator to see if you might qualify for a subsidy to help with your insurance costs. Keep in mind, it's only an estimate, but it should give you a sense of what to expect. "Is there a grace period for a newly licensed driver to get insurance?" Nope, not in Washington state. In order to operate a motor vehicle here, the driver must have the state minimum liability insurance. There is no grace period to obtain that insurance. So parents, check with the insurance agent (or insurer) to see if your young driver is covered under your automobile insurance or if they need their own insurance policy.